So I’ve been quiet because it has been very busy! 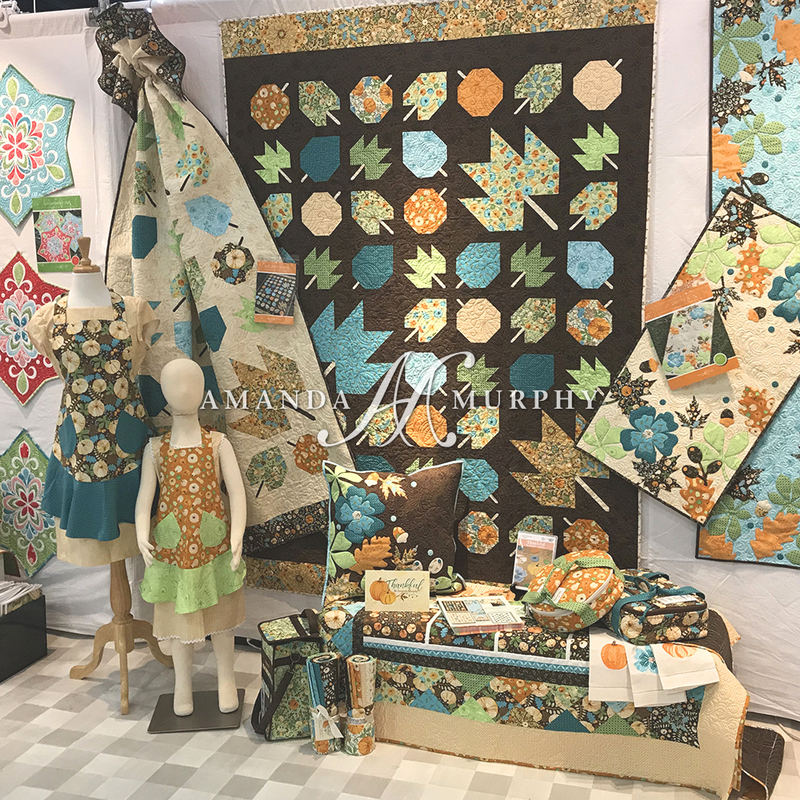 I just got back from BERNINA University a couple of weeks ago where I debuted my new collection for Contempo of Benartex – “Meadow Dance” and today it is time to share it with all of you! 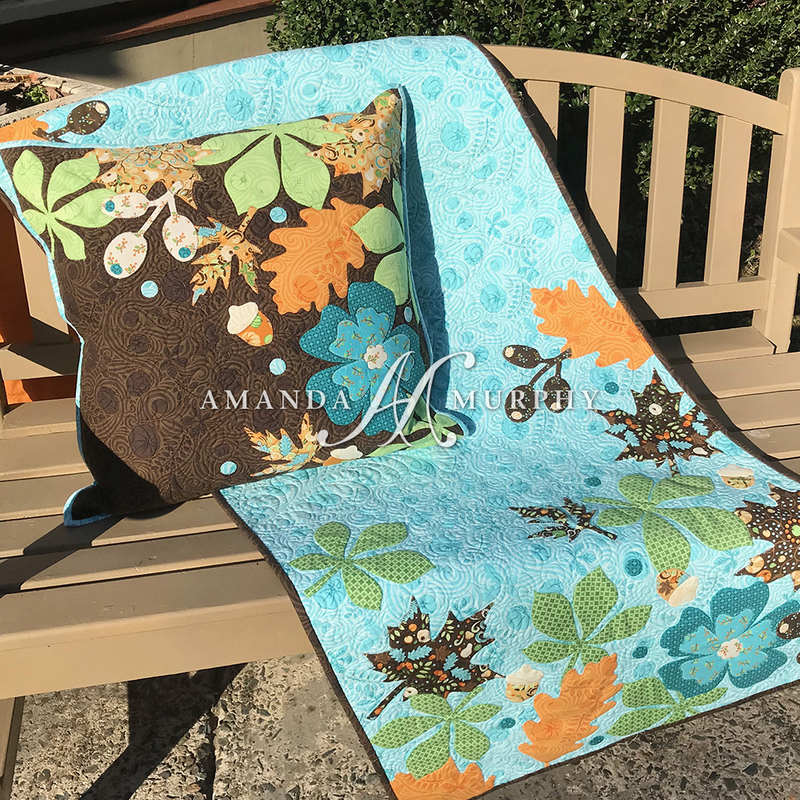 I am introducing some purples and oranges and dark grey into the collection this time, although the greens and aquas are the same so you can mix and match with other collection. 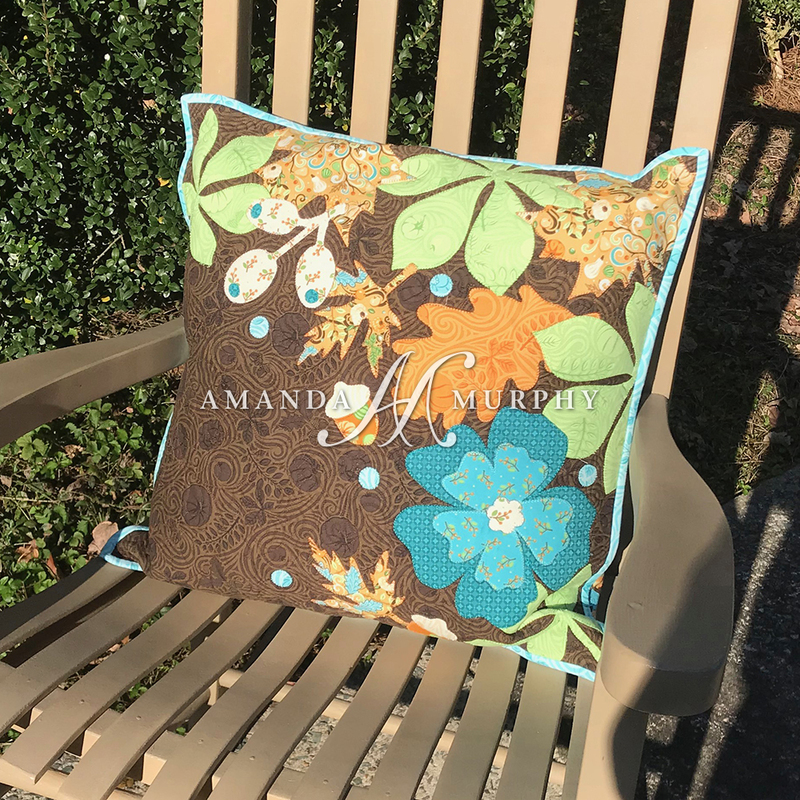 It screams happiness to me and I hope that you LOVE it! 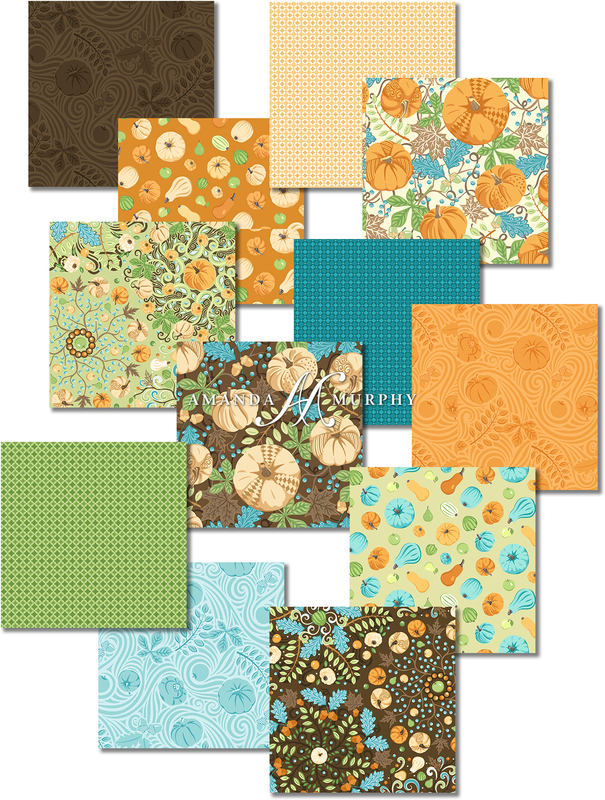 There are four patterns designed specifically for this collection, all made with Aurifil 50 wt. 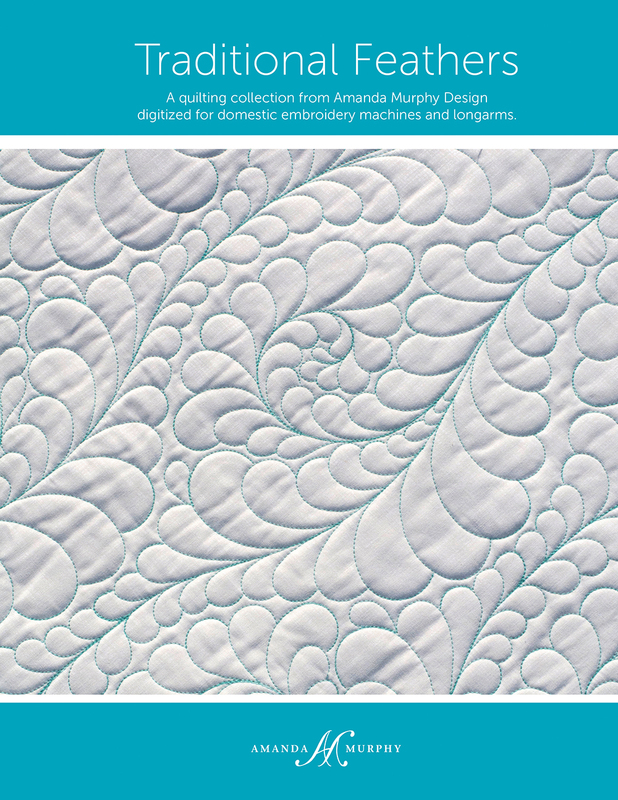 thread on my BERNINA 780 and quilted on the Q24, so let’s jump right in. 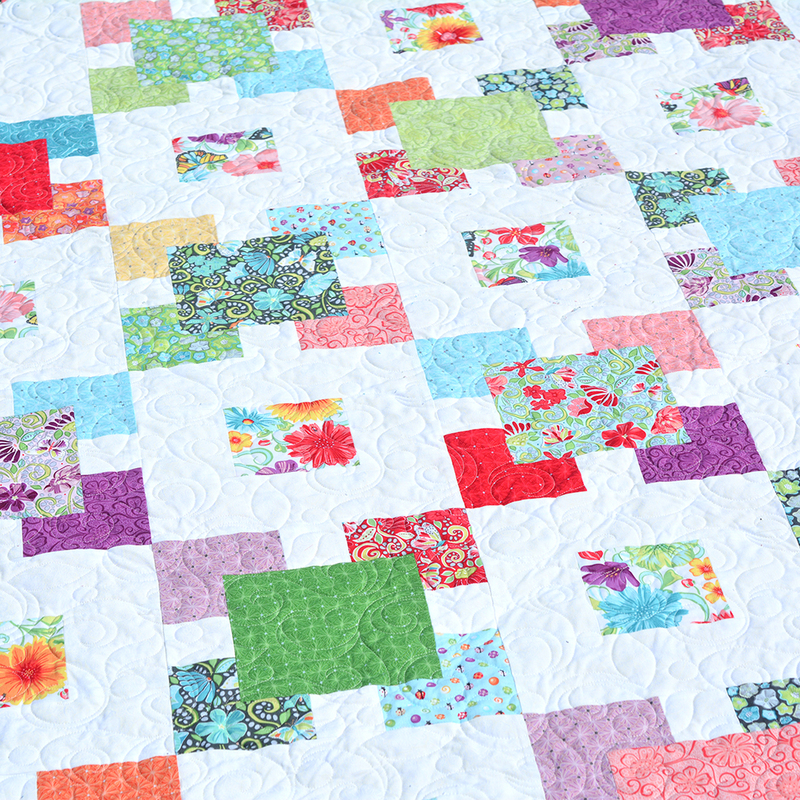 Meadow Blooms is a fun one-block quilt. 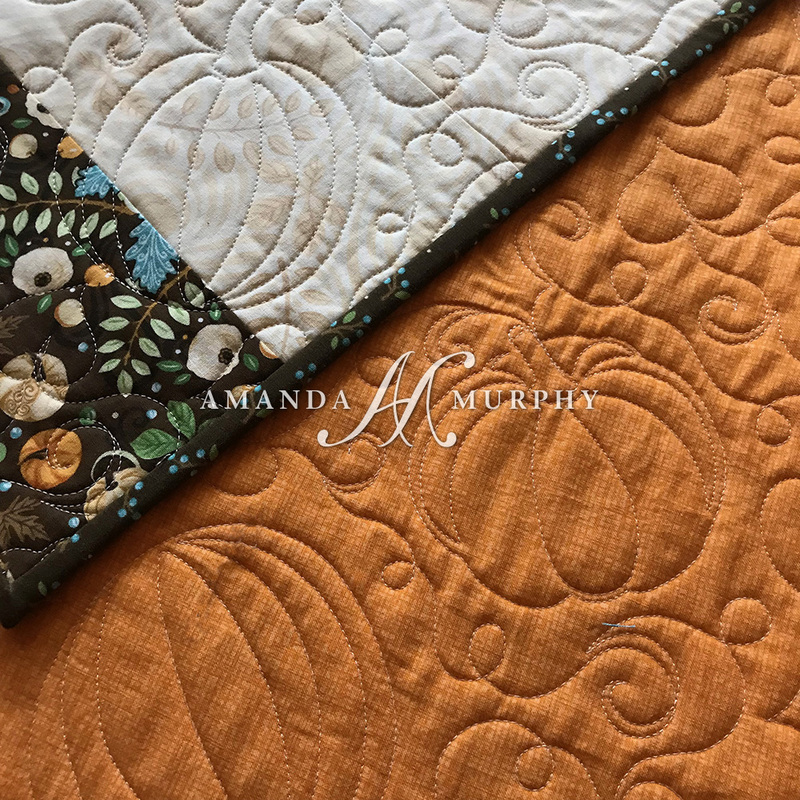 I had such fun quilting it using a combination of free-motion, rulerwork, and motifs from my new Traditional Feathers Quilting Collection. 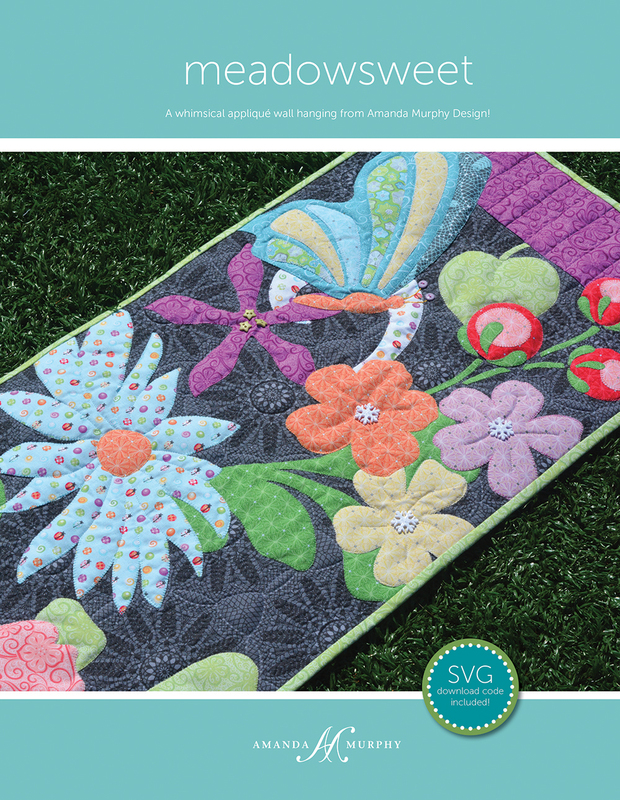 Next up is Meadow Song, which is a modern take on a traditional Dresden design. 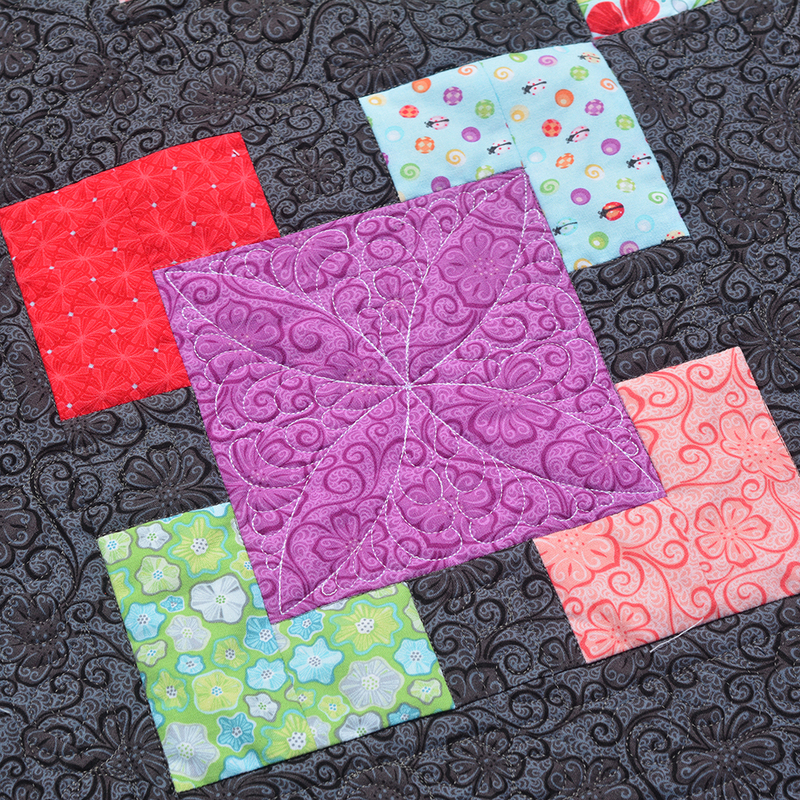 It is also a great scrap quilt. 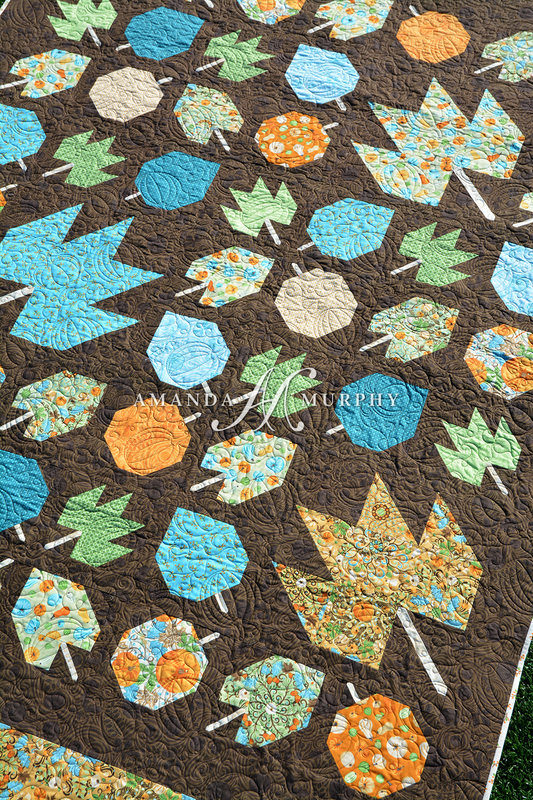 And of course I had to do an applique quilt – “Meadowsweet” is a quick-stitch just the right size for a wall-hanging. 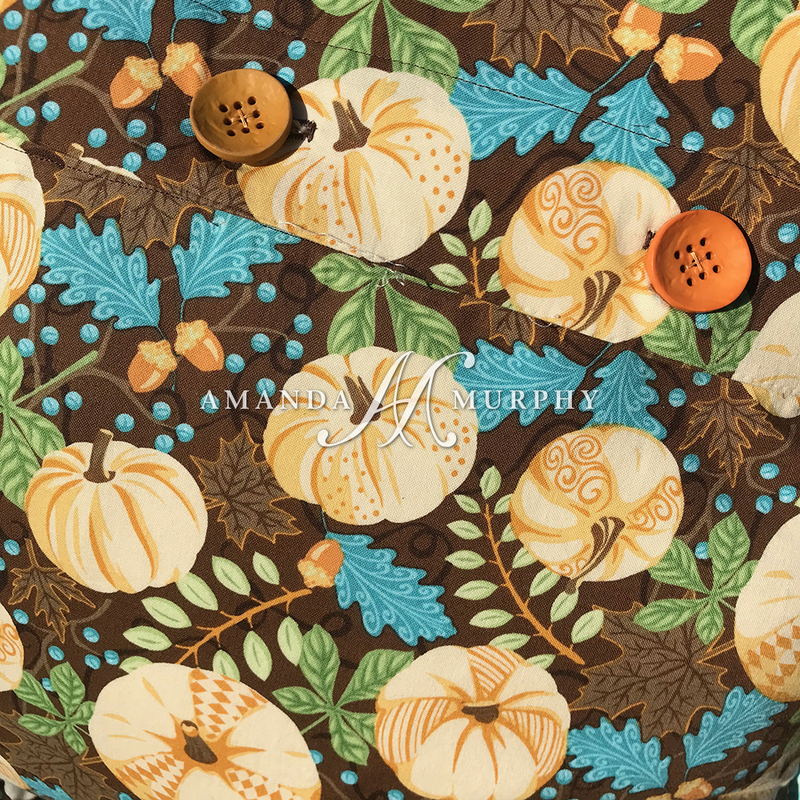 SVG files are included and there is a button pack from Just Another Button Company for this pattern. 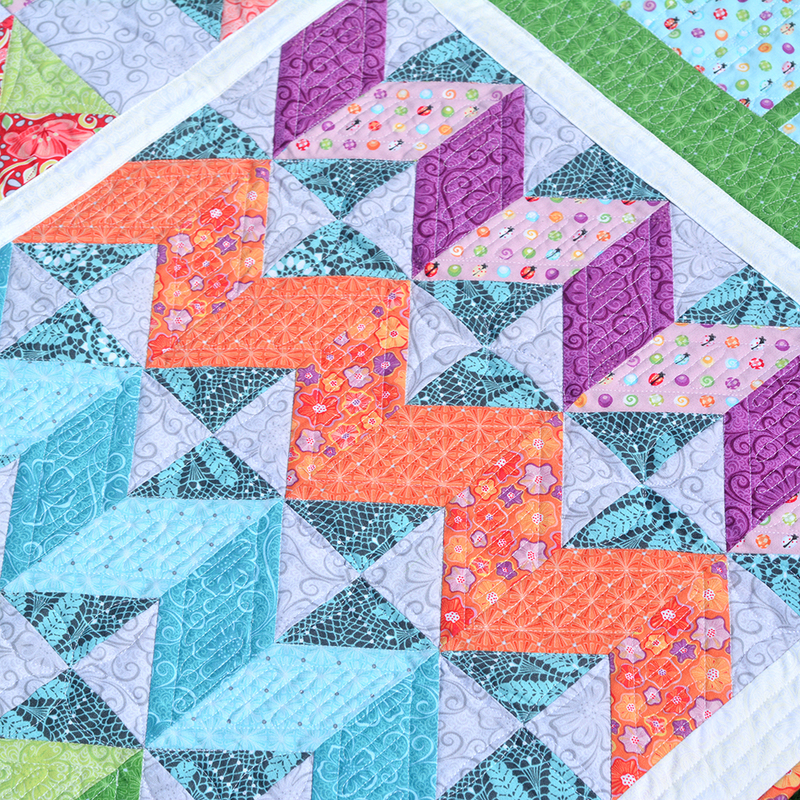 And then last on the pattern side of things is my “quilt-as-you-go” “block-of-the-month”. Is that a mouthful or what? 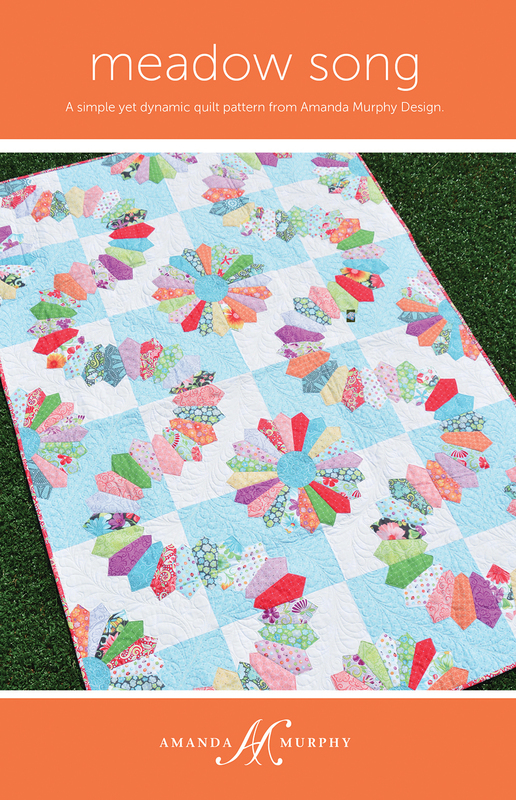 This is a quilt that can be finished as minis, but can also be assembled after quilting as shown below. 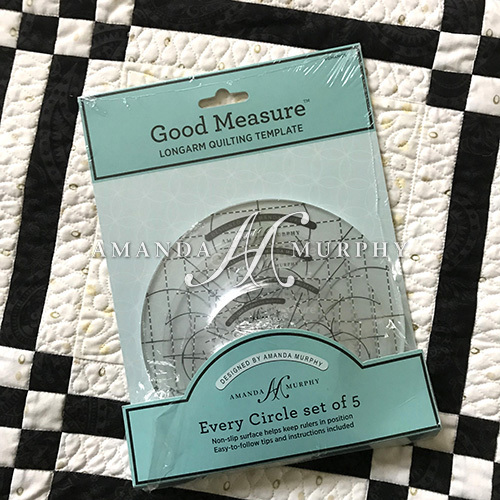 Quilting directions are included and you’ll need a a curved and straight ruler to quilt along. Videos will be released in my Facebook Group. 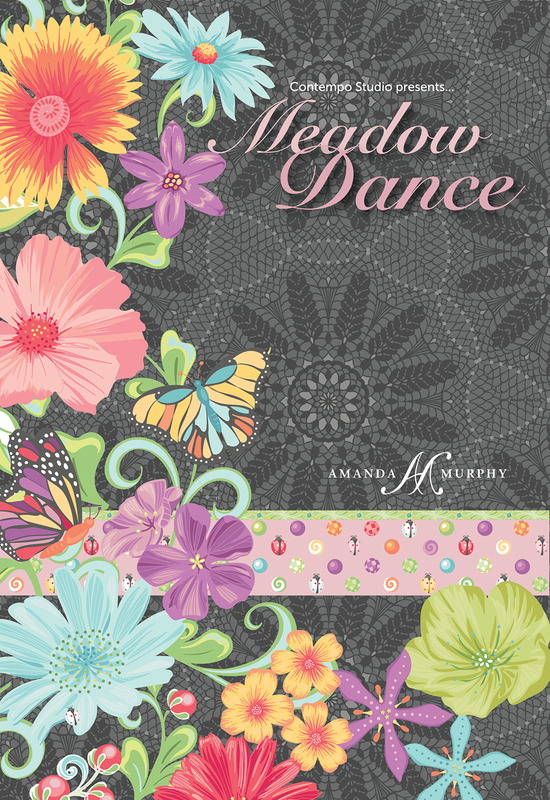 While we are on the subject of rulers have you heard about the Meadow Dance Ruler Panel? 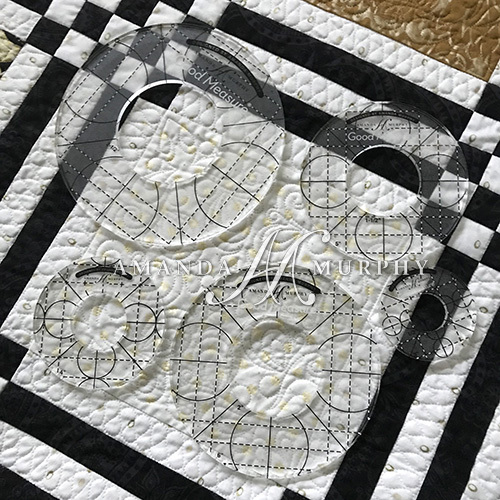 Some of you might be familiar with the ruler panel I did for BERNINA. 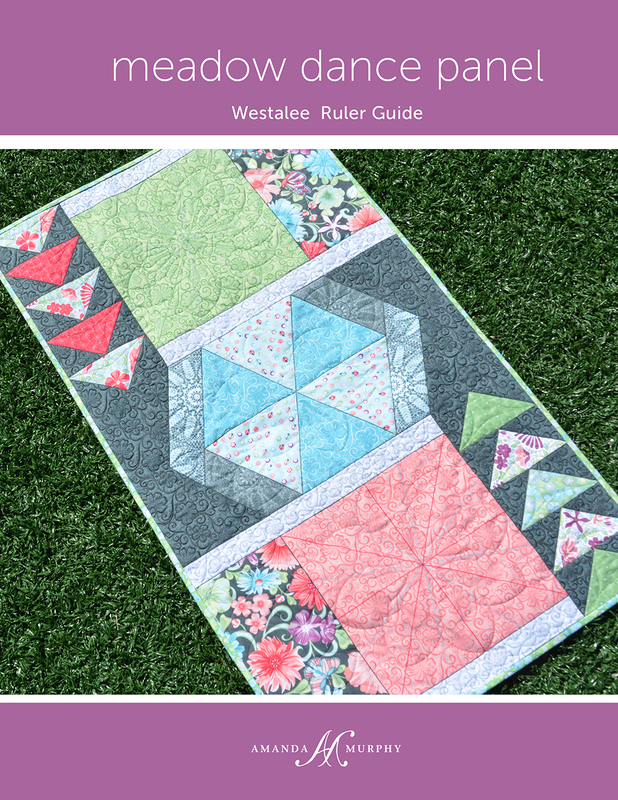 This new one uses Westalee (Sew Steady) ruler sets. There are two to chose from and the guidebook that contains the direction covers both. 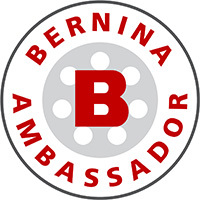 Later in the year I’ll be giving directions to BERNINA on how to use this panel in a different way to train on the BERNINA lognarm. 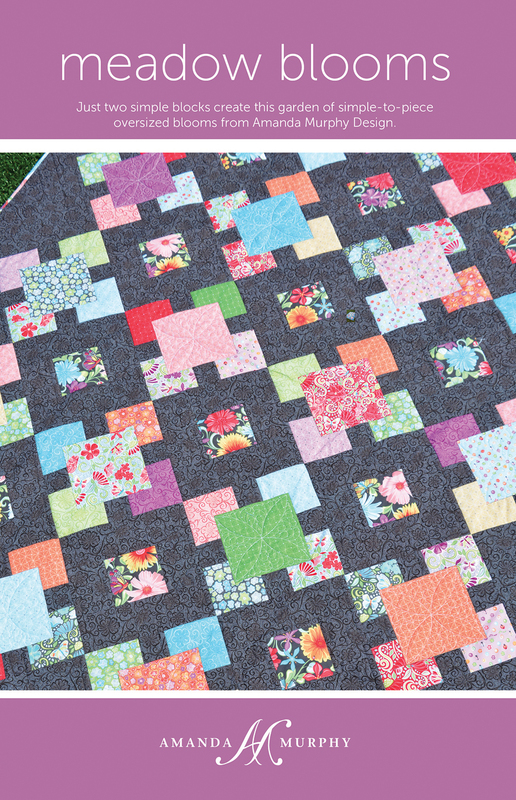 And what do we need to quilt? 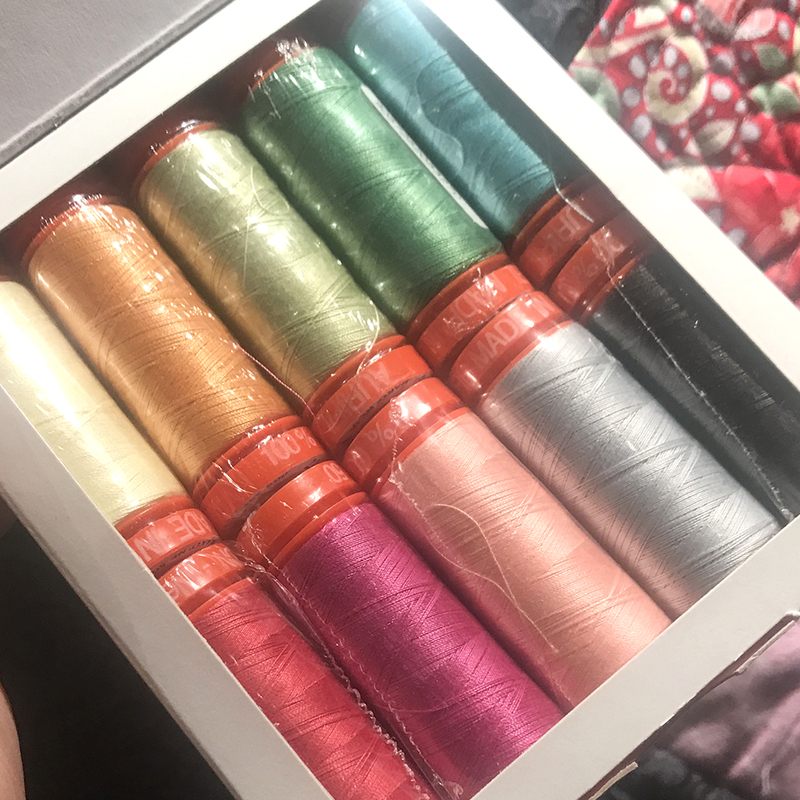 Thread!!! 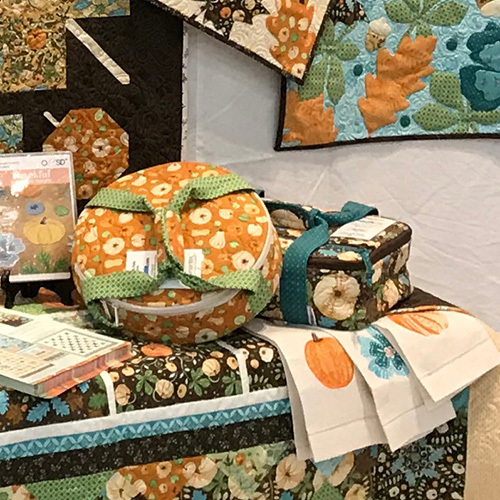 Aurifil put together a thread box just for this collection. 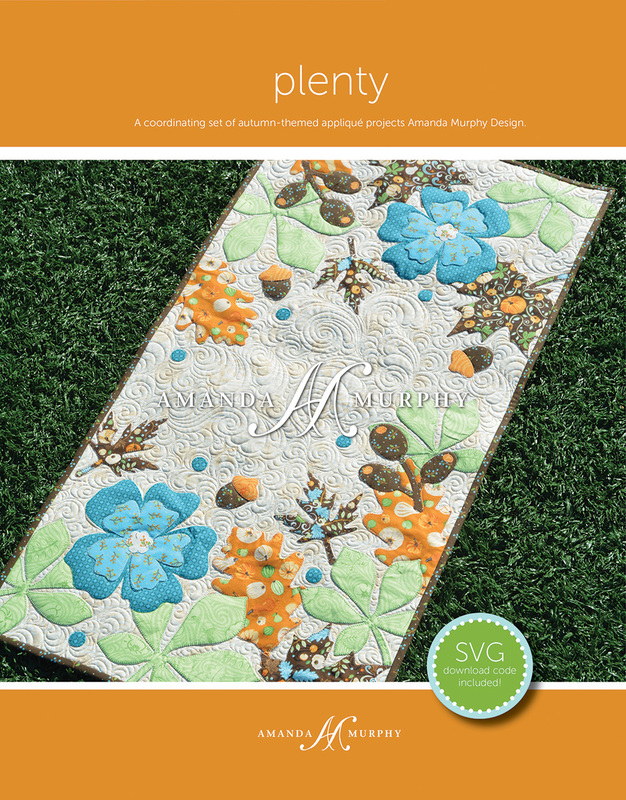 It is perfect for the panel, the applique, or for other projects. 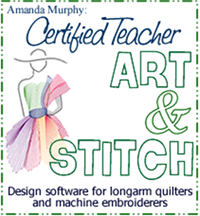 Last but not least, OESD is putting out a coordinating embroidery collection. 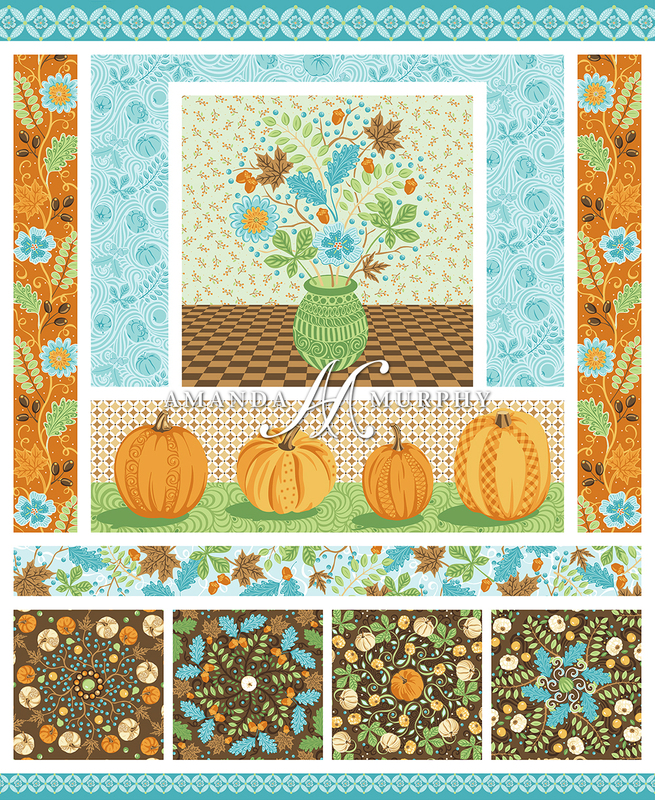 Totally different from Folk Art Fantasy, right? Every collection has a personality and I love them both BECUASEthey are so different! 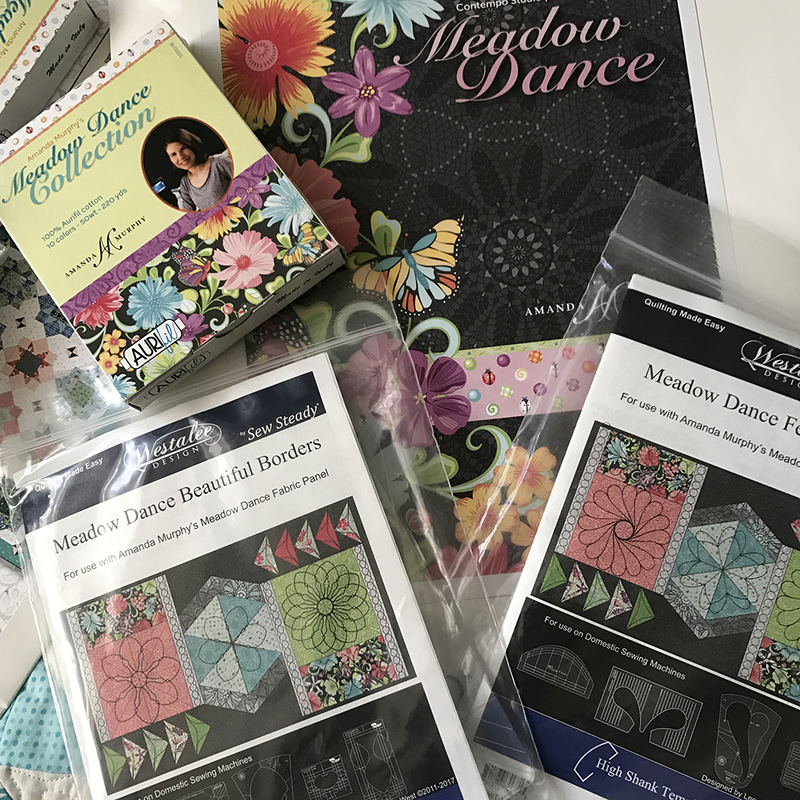 The Meadow Dance line just started shipping to stores this week. 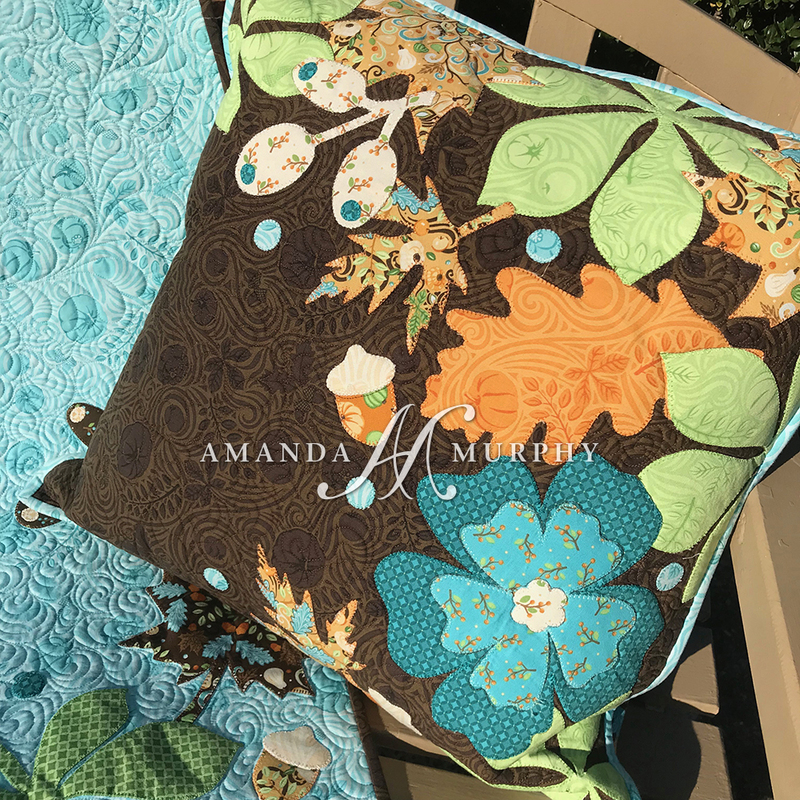 Patterns will ship at the end of the month and I’ll be sure to post their availability in my Facebook Group, so please join the group if you haven’t already. If your still hanging in there at the end of the post it is much appreciated! I know it was long but it is really is just a portion of the photos I have and it was so hard to decide! 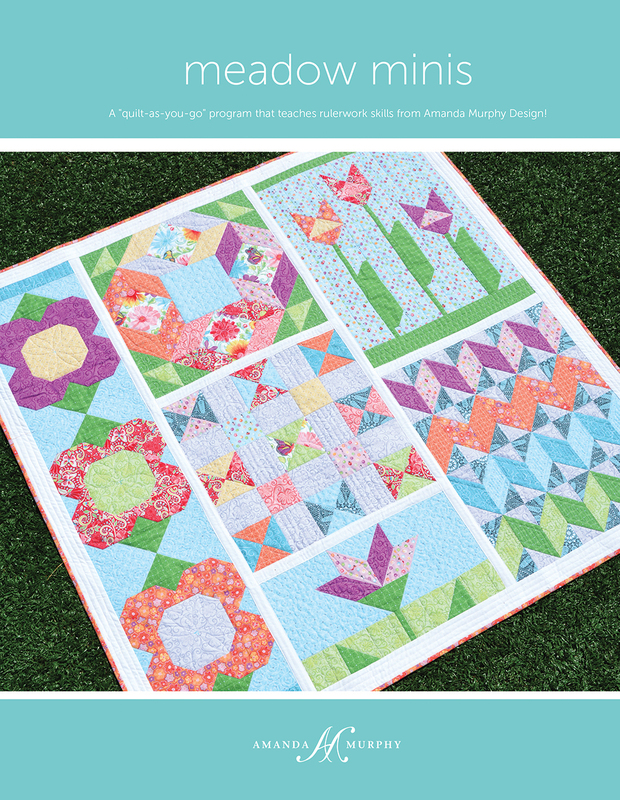 Have a lovely conclusion of your summer and happy quilting! 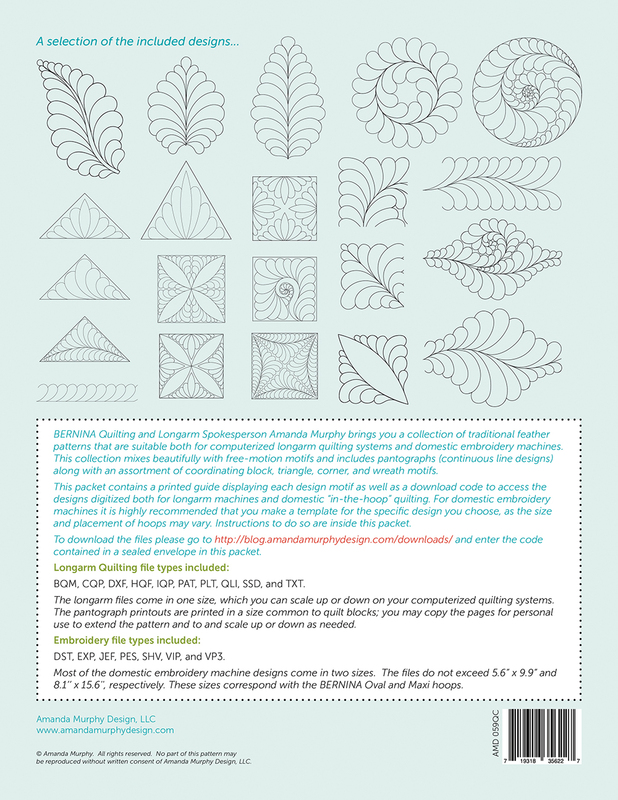 My new quilting collection digitized for longarm machines and domestic embroidery machines – the “Traditional Feathers Quilting Collection”! 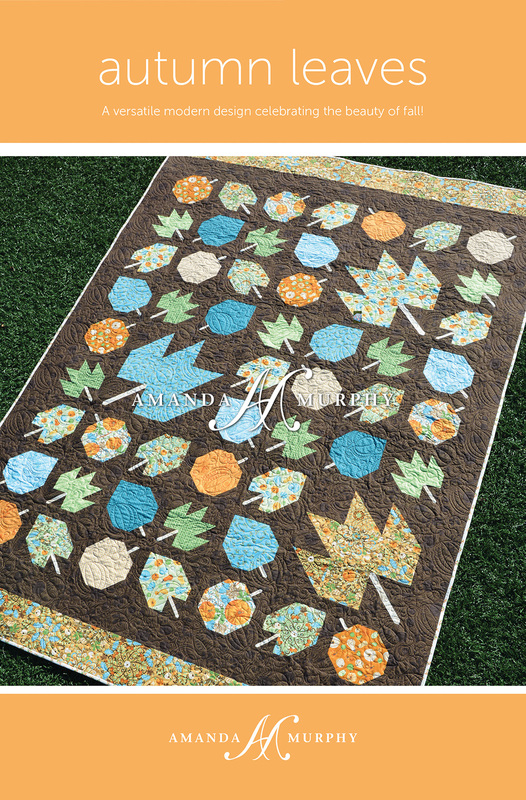 This collection is drawn out in a similar manner to the way I teach free-motioning feathers, so it works beautifully both on its own in conjunction with your own free-motion designs. 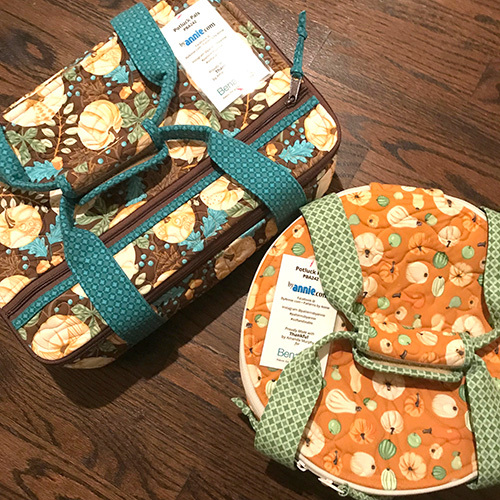 I love to support local shops, so please ask them to order it if you can. 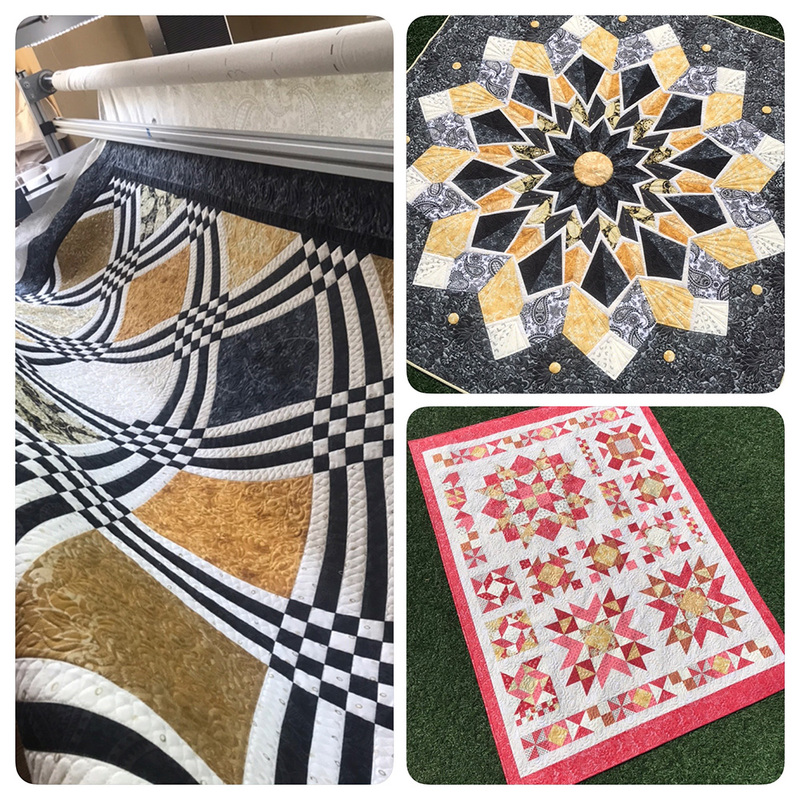 If you aren’t lucky enough to have a local shop you can find the Traditional Feathers Quilting Collection here.